Shadowman is a hero in the Valiant Comics universe. Shadowman was part of the original flagship of Valiant characters in the early 90s and his books sold very well often over 100 thousand per month and outselling many Marvel/DC titles. Shadowman was also featured in a hit video game when the license was part of Acclaim. The video games were popular enough to get Shadowman as rated one of the top Black video game on the N64 characters by BET and IGN. Shadowman has his own day in the city of New Orleans called Shadowman Day which is on Jan 17th. A Shadowman film is in the works, currently no actor names have been attached to role. For more info see film section at the bottom of this page. Shadowman series is set to launch in March 2018. A new design of Shadowman was done by Greg Smallwood. I really like this design of Jack Boniface and am excited to see what this series does. There have been multiple versions of Shadowman with all being men gifted with the mystical voodoo force that allows them to be Shadowman. Each Shadowman is imbued with standard super hero powers like super strength but also have Voodoo mystic powers. The Shadowman characters are generally not shown to be gifted in Voodoo and thus have varying success using it. They also have access to a mystical underworld called the Deadside. Jack Boniface is the son of the former Shadowman Josiah Boniface. His father disappeared in a battle with a mystical villain named Master Darque when he was young. His mother seems to be scared of something and leaves Jack in foster care when he is still a young child. She leaves him only with a strange amulet. As Jack gets older he begins to unravel the mystery of who is father is and what happened to him. More importantly he begins to learn the secret of the amulet that was left to him. When Jack was still a young child an evil mystical villain by the name of Master Darque invaded New Orleans with an army. Josiah Boniface leaves an amulet with his wife Helena LaBreton and then goes to battle Master Darque. Josiah becomes Shadowman and helps his friend Dox fight against Darques forces. Dox has created an army from the deadside that he has mustered to battle Darque's army. Darques forces are being beaten back when Darque decides to strike at Shadowman/Josiah. Darque had waited until the sun was up to strike hoping that the extra light would effect Shadowman's powers. Even as Darque attacks, he is in turn attacked by Shadowman. The two are pulled into a portal and the invasion ends. With the Invasion defeated Dox went to find Helena but finds that she has fled New Orleans. Jack learns that his parents had been criminals on the run and that his father had been charged with homicide. Neither parent had been located by authorities they had both seemingly disapeared. While Jack continues his research into this parents a monster named Mr. Twist attacks a bar and kills the customers there. Additionally Mr. Twist alters two police officers into monster henchmen he calls Bretheren. Confused and angered about learning his parents were criminal's, Jack decides to get rid of the amulet that he has held since being a child. He tosses the amulet in a river. He is located and found by Alyssa a protege of Dox who had long ago helped Jack's father Josiah. Alyssa says that the amulet had mystically hidden his presence from other magic users but without he can now be found both by her and others. Almost immediately the Bretheren monsters hunt down Jack and strike they shoot Jack and seemingly kill him. Close to death a mysterious entity comes to Jack's aid and turns him into the new Shadowman. 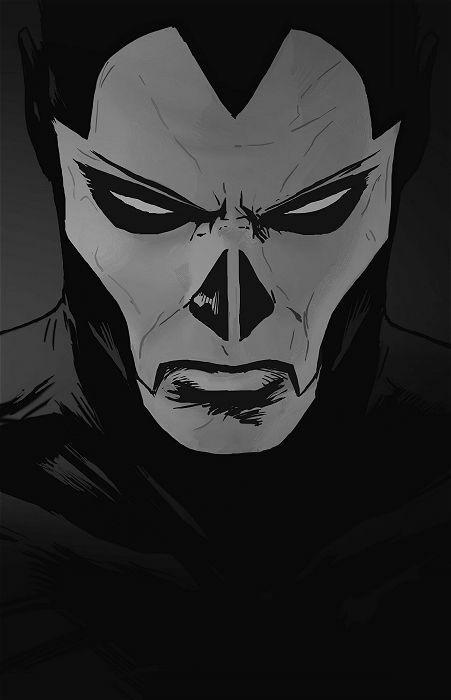 No actor name has been attached to Shadowman as of yet. However, a film is in development. A Shadowman movie is in the works. Valiant is working on various plans to bring its universe to the big screen. 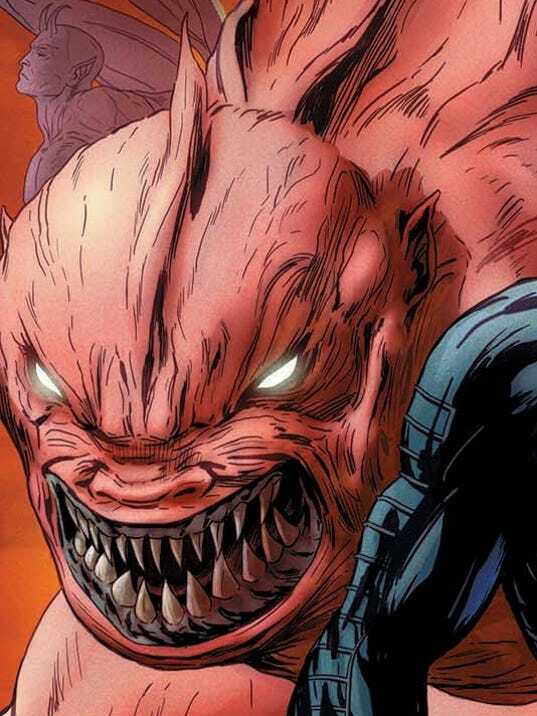 The company has a notable five picture deal with Sony that includes its properties Harbinger, and Bloodshot. Valiant has additional plans that include an inhouse Shadowman film. A THR report says that Adam Simon (Salem) has been hired to produce the film and Reginald Hudlin (Marshall, The Great White Hype, Boomerang) has been hired to direct. Hudlin is also a well known comic writer from his time writing Black Panther. J. Michael Straczynski who has worked on the projected previousily has stayed on as an executive producer. A variety of other Valiant films are in various stages of development including an Archer & Armstrong film from the minds of Terry Rossio and Ruben Fleischer (Zombieland). Also a Quantum & Woody film is being worked on by Joe and Anthony Russo (Captain America: Winter Soldier and Civil War).